Note: This release appeared in the Sunday, July 30, 2017 "Crossroads" Section of the Milwaukee Journal Sentinel in the form of an opinion editorial. Last April, the Wisconsin Supreme Court embarrassed itself and every citizen of our state when it discussed in “open conference,” and then voted 5 to 2, to reject a timely, reasonable and needed proposal that would have established reasonable thresholds for recusal for elected municipal court judges, circuit court judges, state court of appeals judges and state Supreme Court justices in cases where they received campaign contributions from a defendant or plaintiff appearing before them, or were the beneficiaries of spending by an “outside” special interest group. Wisconsinites would be surprised to know that our state is considered among the four worst states in the nation with regard to the strength of our recusal standards for campaign contributions. In fact, we have none, and the current state recusal “non-standard" was written by Wisconsin Manufacturers & Commerce, which has spent millions of dollars over the years to elect conservative state supreme court justices. The “standard” was adopted verbatim by a 4 to 3 vote, seven years ago. It essentially says that each justice may decide for themselves whether to recuse in a case involving a party contributing to her or him. Since that time, contribution limits to candidates have vastly increased and outside spending has risen exponentially. 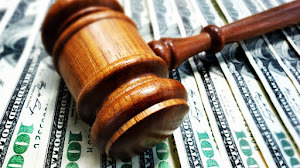 Public financing for state Supreme Court candidates who voluntarily agreed not to accept campaign contributions was repealed (in 2011) and now more money than ever before dictates the outcome of state Supreme Court elections and, increasingly, elections for state Court of Appeals, circuit court and even municipal court. Furthermore, the Wisconsin Legislature and Gov. 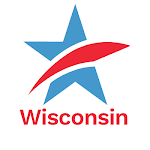 Scott Walker enacted into law drastic changes to Wisconsin campaign finance law in 2015 that legalized campaign coordination between outside special interest groups and candidates. That means that “anything goes” and there is no wall between candidates and their financial backers. The April vote and decision to reject the recusal proposal submitted in January by 54 retired judges — including two former Supreme Court Justices — was made without a public hearing. Individuals and organizations, including Common Cause in Wisconsin, were permitted to submit written comments to the court prior to the April vote, but the public was largely unaware that the shocking action by the Supreme Court even occurred because the conservative majority denied a request by the 54 retired jurists for a public hearing. Here is what they proposed for recusal: For state Supreme Court justices, the threshold amount is $10,000; for judges on the state Court of Appeals, $2,500; for circuit court judges, $1,000; and for municipal court judges, $500. These are reasonable and prudent thresholds. But they were rejected, almost summarily, in one of the last “open conferences” the high court had. They have since voted (5 to 2, of course) to end even open conferences. Democracy dies in darkness. This recusal issue is not “settled” and is certain to be a big issue in the April 2018 state Supreme Court election in which a successor will be selected to replace retiring Justice Michael Gableman, a “poster child” for the need for a justice recuse him or herself and a leading opponent against sensible recusal standards. Already, two of the three candidates to replace Gableman have declared support for the retired judges’ proposal. Support for recusal will be central in the upcoming campaign. With the conservative majority on Wisconsin’s highest court refusing to hold a public hearing on this critical issue, Common Cause will step into the void and organize two or three public hearings in Wisconsin in late summer and early fall. Sensible recusal rules are needed to restore public confidence in Wisconsin’s judiciary, once a model for the nation. This issue is too important to simply allow deep-pocketed special interest groups and their proxies on the Wisconsin Supreme Court to simply crush it and attempt to sweep it out of the public eye. Stay tuned. Jay Heck is executive director of Common Cause in Wisconsin. Sensible Judicial Recusal Rules for Campaign Contributions Needed for Wisconsin Judges at All LevelsTweet this!